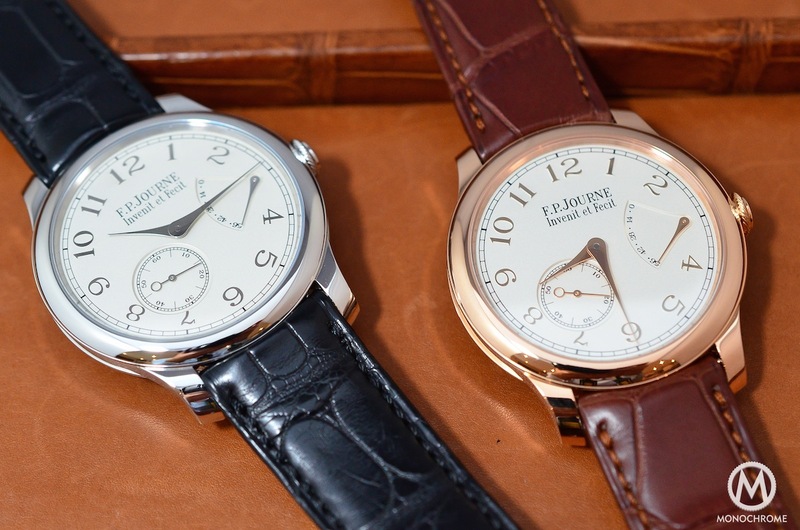 Boys, please don’t cry… It’s true I’m afraid that the historical 38mm cases from FP Journe will never exist anymore. The size that collectors have cherished for years and that was the emblem of elegance and beauty is gone. 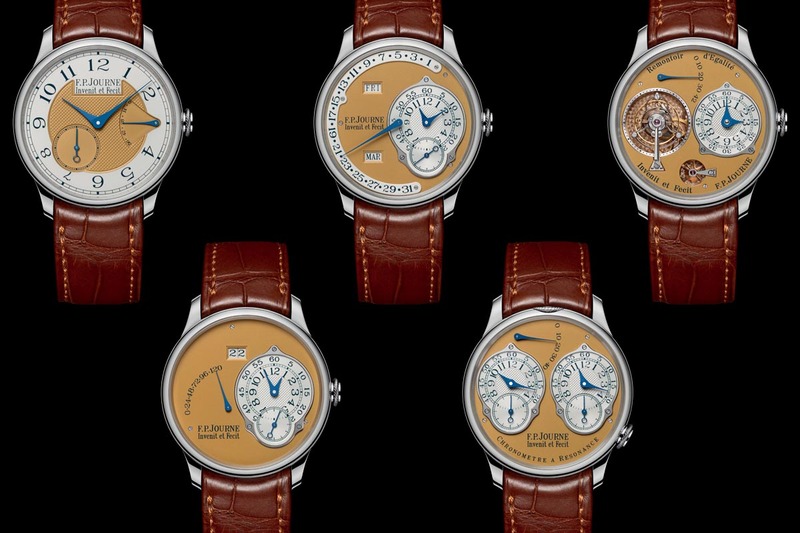 However, behind this (sort of) dramatic announcement hides one of the best pieces of news possible, because François-Paul Journe just decided to celebrate this end with a re-birth, the return on the market of several discontinued references with movements you’ll never see anymore. 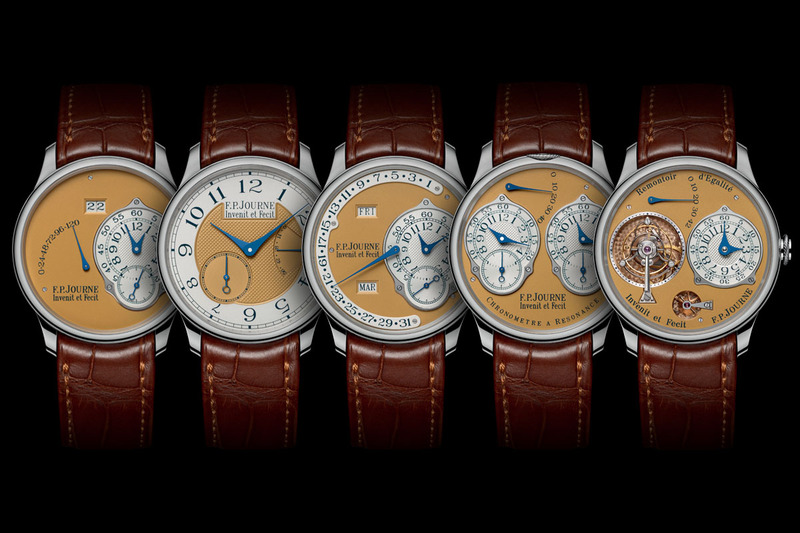 With this set of 5 watches in STEEL (yes, that too…), FP Journe offer one of the most amazing gifts to its fans. For FP Journe, the journey of wristwatches started at Baselword 1991, where he introduced its first watch to be worn on the wrist (several pocket watches preceded the wristwatches), a Tourbillon with Remontoire d’Egalité (a sort of constant force device) in a 38mm platinum case. This watch was very special at that time, as watches used to measure between 33mm and 36mm. It was huge because the movement required it. Since then, the 38mm case (and its shape) was emblematic of the brand. 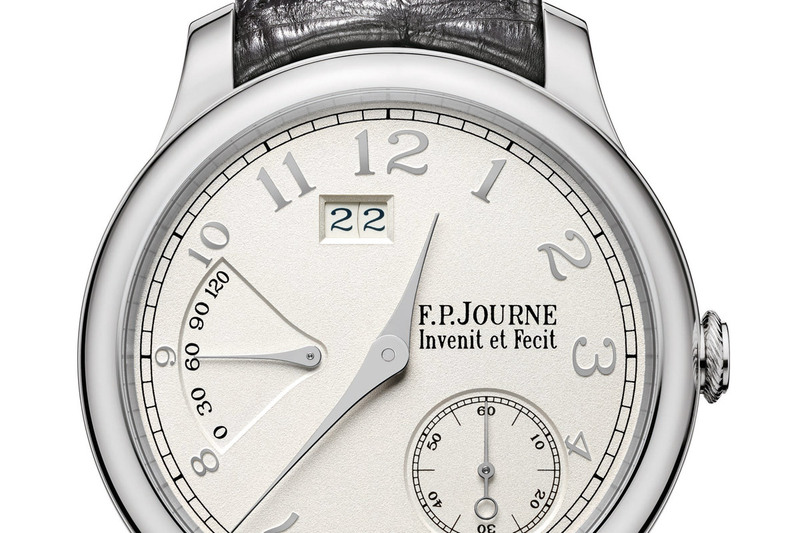 Of course, FP Journe evolved, as for example in 2001, with the 42mm Grande Sonnerie – that led the brand to also offer watches sized at 42mm in the rest of the collection. For years, you could choose watches at 38mm and some at 42mm. Things changed in 2013 with the Chronomètre Optimum (that we reviewed and explained here). The complexity of the movement required to move to a case measure a minimum of 40mm – and thus to a watch only available in 40mm or in 42mm. Same goes for the recent Octa Lune. Form now on, this will be the norm at FP Journe. 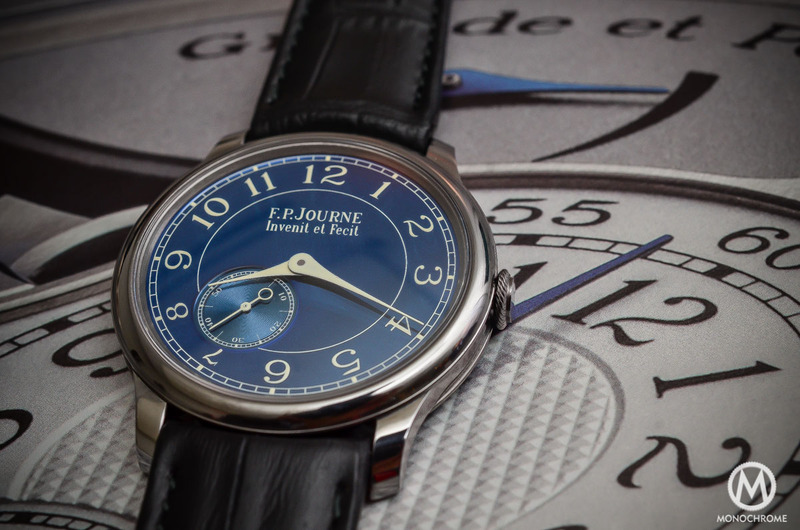 Instead of creating sadness, FP Journe decided to please collectors (and there is a lot of them around the world) with a celebration, a set of 5 watches (of course measuring 38mm) and manufactured in stainless steel. What an already nice idea! To this, François-Paul adds 2 other features. The first one is a unique colour for the dials, made of solid gold (of course), hand guilloché (naturally) and in a patinated bronze tone. 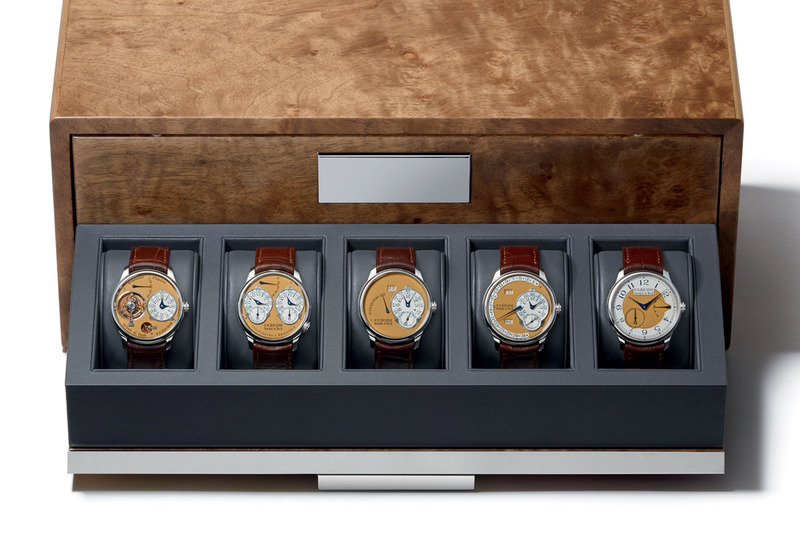 The second unique aspect is that 4 of the 5 watches you’ll see in the set are discontinued ones, watches (or movements) that the brand didn’t manufacture for several years, thus creating a proper unique box. 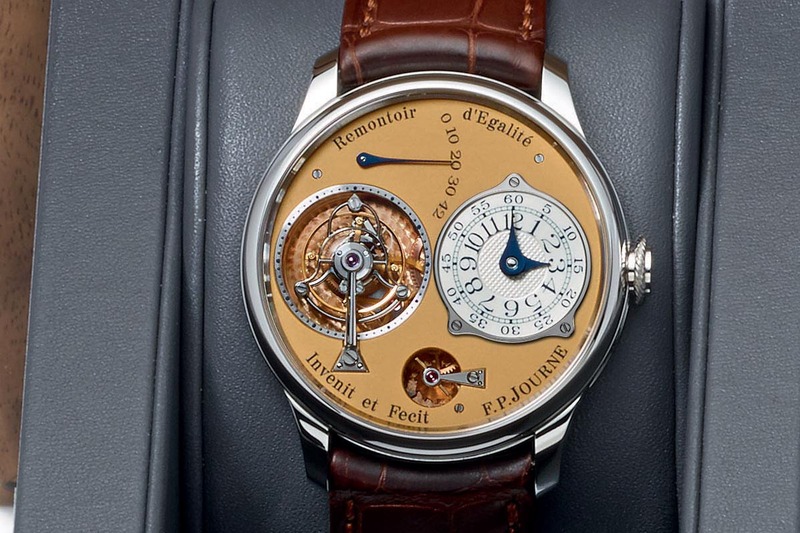 The watch in this set is the older (and first) edition of the Tourbillon with Remontoir d’Egalité created by FP Journe. It was made from 1999 to 2003, with a brass movement and an aperture at 6 showing the constant force device. The modern one (you can see it here) features a small-second indicator at 6 and a movement made in solid gold (like all the modern watches made by Journe). What we found in the set is, as said, the older edition (in steel and in 38mm) that now features the solid rose gold movement, making it a first and truly unique watch (the Tourbillon Souverain old edition never existed in steel and with a gold movement). 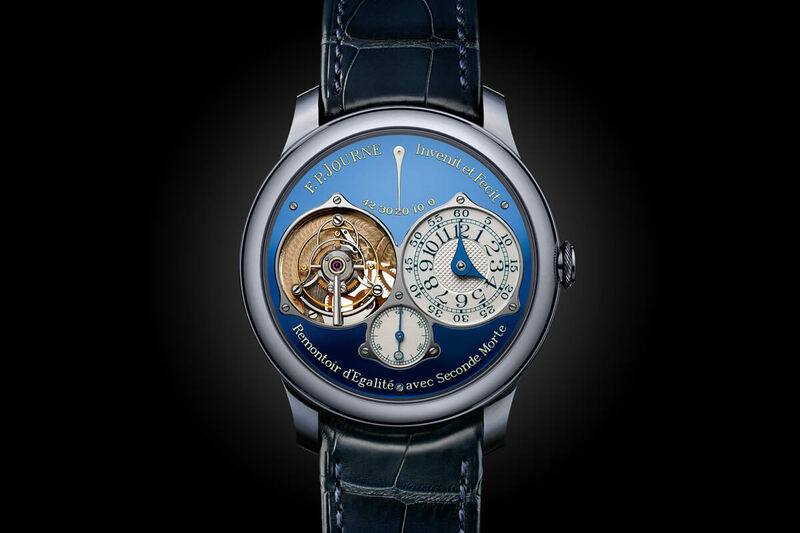 (on the photo below, left side) As with the Tourbillon, FP Journe chose to re-edit one of his emblematic watch, the Chronomètre à Resonance, in its original configuration (produced from 2000 to 2009), with the symmetrical dials. The recent edition (visible here) features a digital indicator and an analogical one, while the old edition features two independent analogical displays. It comes of course with the solid gold movement and a 38mm case in steel. (on the photo above, right side) The FP Journe Octa Automatique was the very first automatic watch developed by Journe, with a 120-hour power-reserve and a large date. This watch, produced from 2002 to 2014, is now back for a final run with this 38mm steel case. 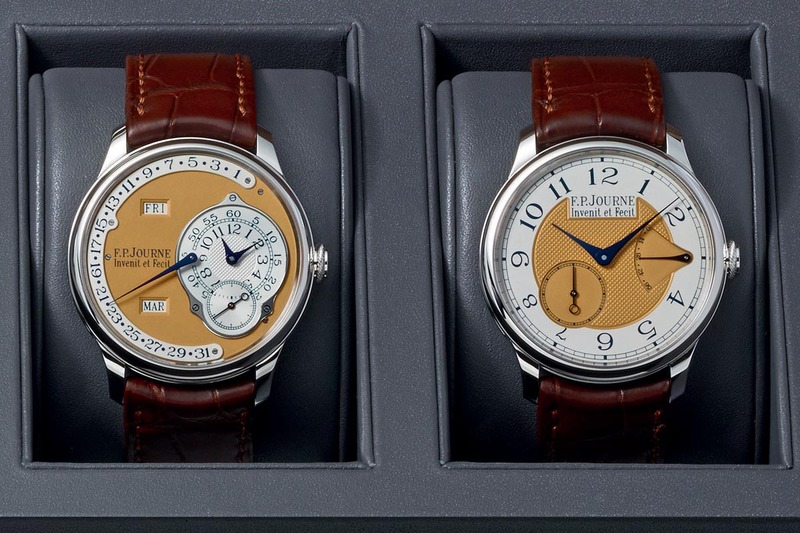 (on the photo below, left side) Same idea than the one before, the annual calendar watch by FP Journe is based on the Octa and thus features a 120-hour power-reserve automatic movement. 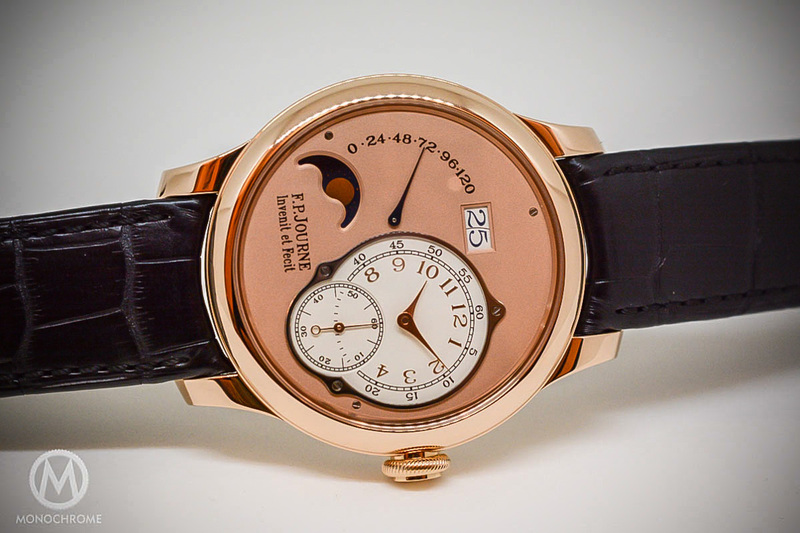 The FP Journe Octa Calendrier Annuel was produced from 2003 to 2014 (and was the best seller of the brand). (on the photo above, right side) Even if this watch is still in the catalog (and even received some new dials recently), it was difficult not to have it in this commemorative set of watches, as clearly, it is THE emblem of the brand. Produced since 2005, it shows a superb hand-wound movement and comes for the first time in steel with this bronze dial. The set of 5 watches in stainless steel and bronze dials to commemorate the end of the 38mm cases is limited to 38 pieces and priced at CHF 268,000. 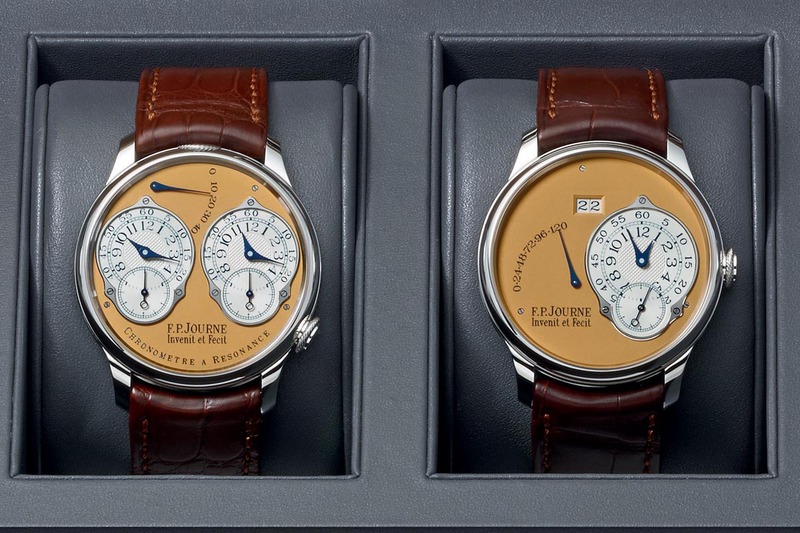 Now it will be interesting to wait a few years and to see the result of these 38mm watches during auctions, both for single timepieces of for this set, that will for sure, break records.